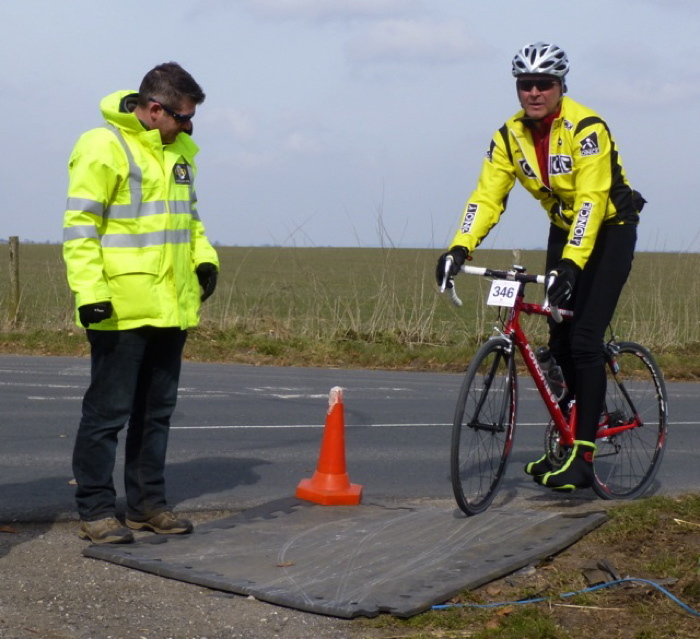 Entry fee: Â£26.00 (short), Â£28.00 (long). Â£5 extra on the day. Start: Salisbury Racecourse, Netherhampton, Salisbury, SP2 8PN. 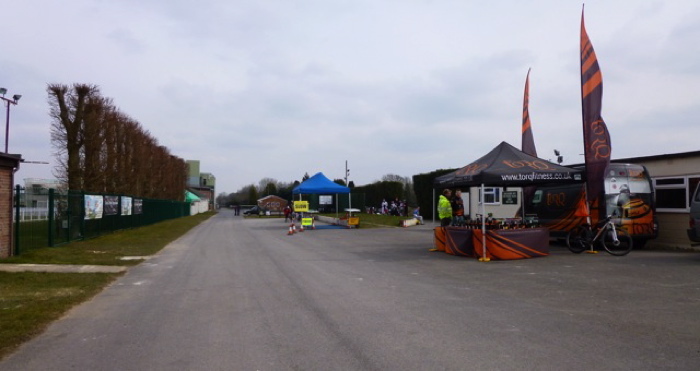 Plenty of free parking.. Indoor HQ with refreshments available, and a toilet block. Feedstops: 1 on the short route, 2 on the long route (same stop used for all). 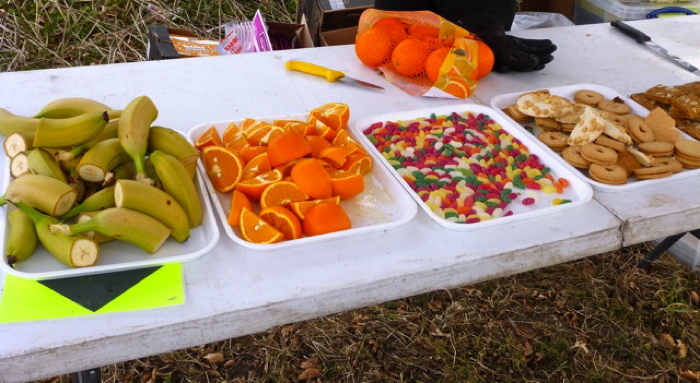 Catering: Free tea/coffee after the ride, with other food available to purchase. 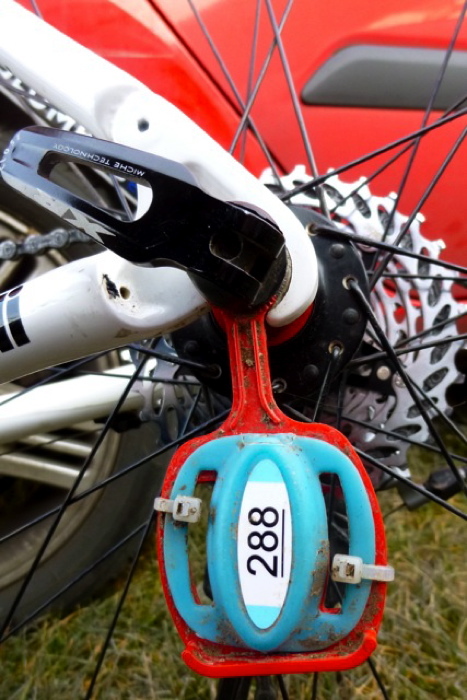 Timed: electronic RFID timing chip attached to rear wheel axle. 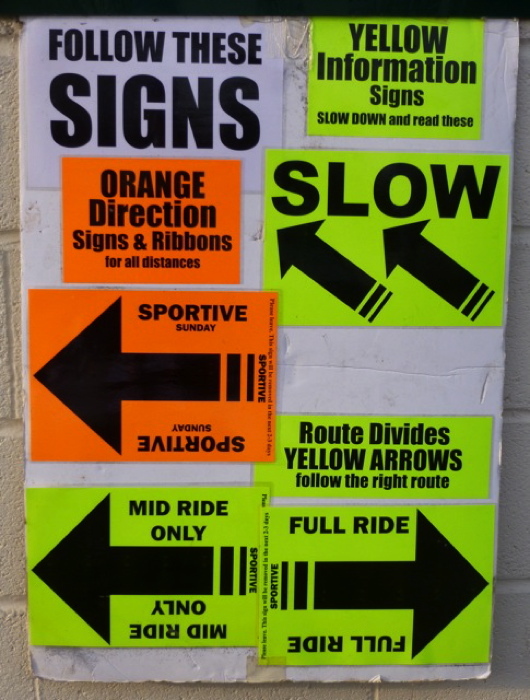 Signs: A clearly way-marked route with clear signage. Black arrows on orange for course directions, black on green for warnings (Slow, junction, etc). Regular Orange repeater ribbons. Roads: quiet picturesque route on scenic back roads. 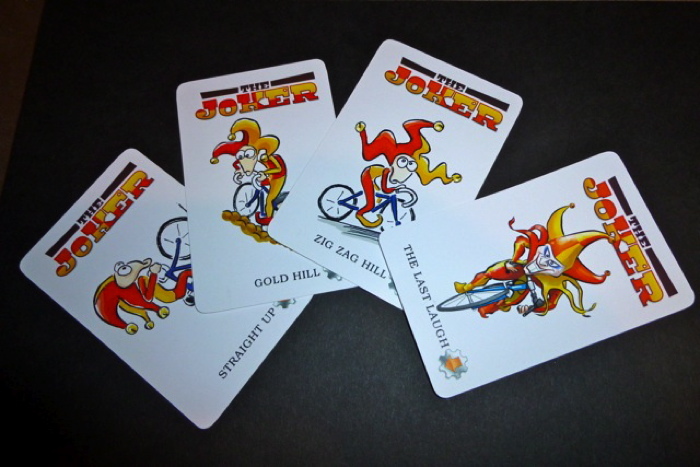 Goody bag: souvenir Joker cards for each Joker challenge completed, free t-shirt. This year has not gotten off to a good start, what with the crappy weather, illness, and one thing and another. So I have to admit to not having given this weekend's Joker much thought, just in case it didn't happen, but as you can see i did it. So, here we go again, with a 6:00am start. 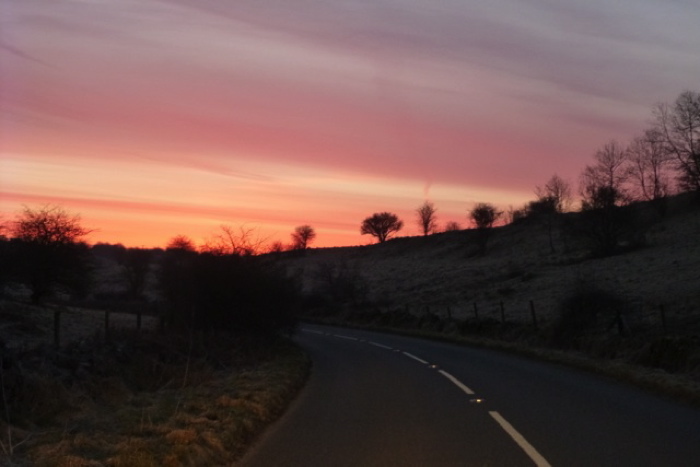 I headed off into the rising sun, over the Mendips, and made it to Salisbury Racecourse about 1 1/2 hours later, pretty much as planned. This is not my first Joker, it's my second, and it's only the second Joker full stop. Last time around I had a mechanical, so I felt like I had unfinished business with it. Having done it before it did mean that I knew vaguely where I was going, and that sense of familiarity made the whole getting there, parking, etc thing that bit easier. Not that it was tricky. 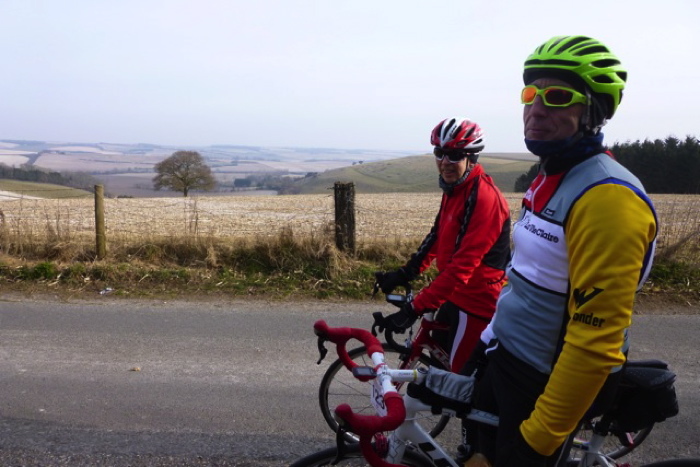 Marshals guided me into the car park, and I was shortly joined by my riding buddies for the day - Guy and Mark. It having been mighty cold of late, forecasts of slightly warmer temperatures and sunshine had us all in full on layer debate mode. I'm happy to report that I pretty much got it right. By the end of the ride my neck scarf and gilet had been stowed away, the gloves swopped for mitts (which make photographing easier), and the zips of all my layers had gone up and down a lot but it pretty much worked. Had the sun come out in force, it might have been a different story. Right, time to register, grab a cup of coffee, and use the outside toilet block. There were also toilets inside, a fact which we didn't discover until after the ride, which are even more salubrious. 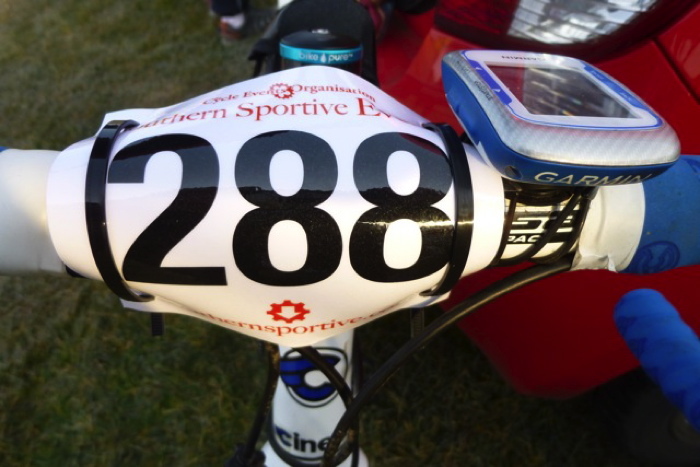 I was given my number, axle timing chip, two cable ties, and a waterproofed map. As usual the cable ties were too short, but as a sportive veteran I tend to carry my own these days, complete with scissors to trim them. I signed the disclaimer list, and headed back to faff some more. Eventually we were ready, and joined the queue for the start. The rider briefing told us all to behave ourselves, explained the signs etc, and then sent us on our way over the timing mat. I love the sound of beeping mixed with people trying to clip in - it's all part of the ritual. There were only around 350 riders out there, which meant there weren't a lot of groups and any we did see were going pretty fast, and usually going past us pretty fast too. As we set off, the first stretch proved how chilly it was out there, as the tips of my fingers disappeared for a while until I'd warmed up properly. 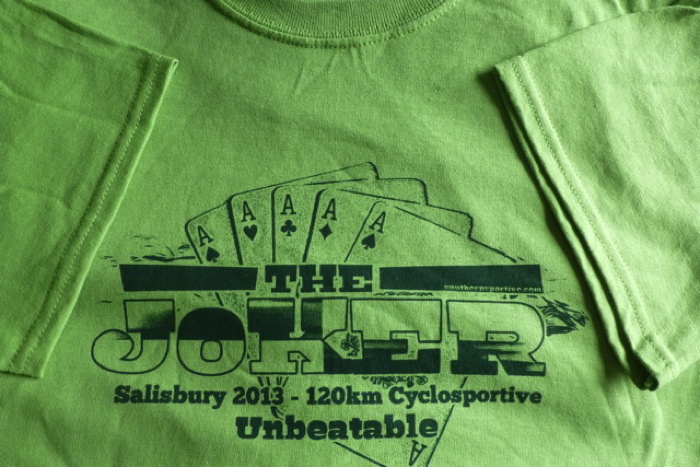 The Joker differs from other sportives in that it has optional extras. Or minuses. 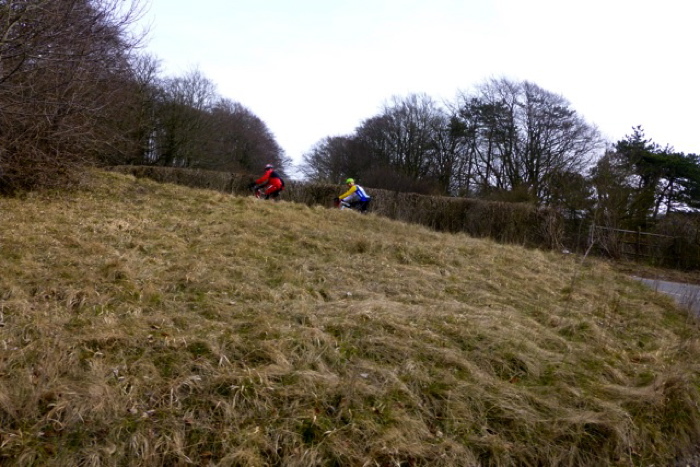 There are 4 extra "Jokers" you can choose to do - which invariably add miles and hills - and two shortcuts or "Fools" - which cut corners and miss hills/miles, but at a cost...being dodgy roads, cyclocross antics, and the like. 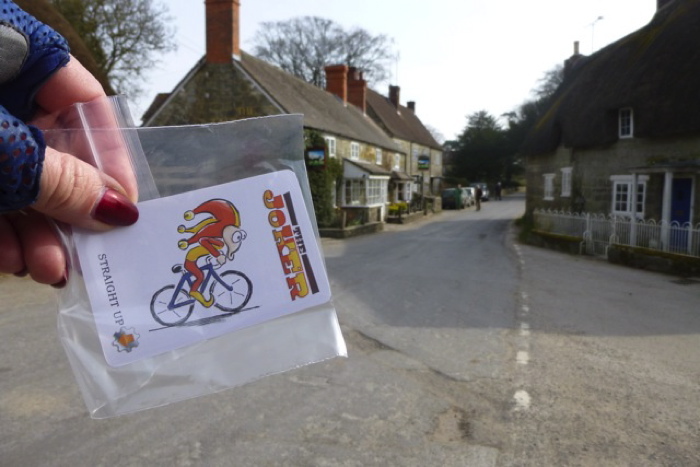 Being well 'ard, and having only been able to do one of them last year, we did all four, and have the souvenir Joker cards to prove it. So that's Straight Up, Gold Hill, Zig Zag Hill, and the Last Laugh. One by one we did them all. Straight up was, unsurprisingly, a big hill. It went straight up, I just went up, slowly, and picked up my first Joker card shortly afterwards. The addition of a little plastic bag to stash the cards in was a distinct improvement on last year, as the one I did get was looking proper tatty and damp by the time I got back - this year they were all pristine. 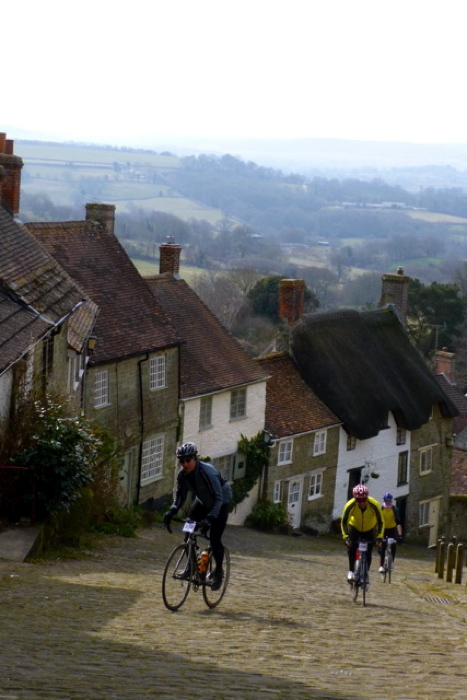 On to Gold Hill which was all Hovis advert and cobbles. I was having a massive mental block about this one beforehand. At some point before it started the boys were waiting for me (something that happened a lot) and I caught up, caught my breath, and headed off to the big hill before them. They were kind enough to not catch me and to let me get on with doing it by myself, which often works better for me mentally. And I made it up. No idea how! The front wheel lifted a couple of times, there was the odd wobbly moment, but somehow I made it, hunched over the bars, to the top without falling over or failing to uncleat in front of the photographer or the waiting audience sat in the suntrap at the cafÃ© at the top. 'Rah! The Zig Zag Hill Joker added an extra loop to go back up Zig Zag Hill, which we'd descended earlier in the ride, so I knew what to expect. 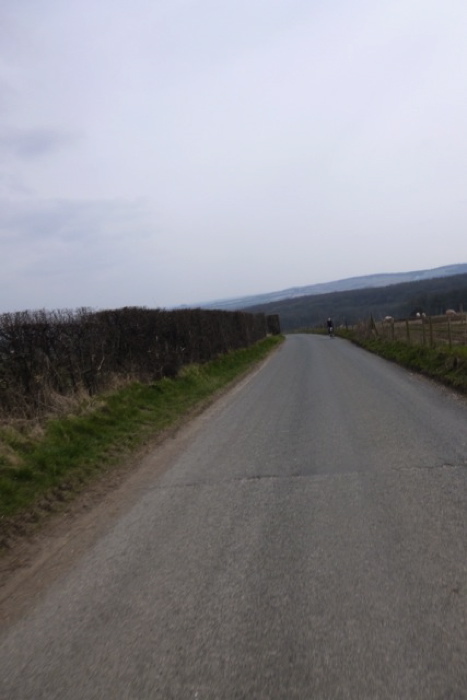 It's quite a nice wiggly climb really, but the last long drag back to the food station across the top, into the wind, did me in though, and Guy dropped back and towed me along until I made it - which I was seriously grateful for. Ah the wind. I don't think I've mentioned that yet. Well there was wind. More than enough of it, and it was cold! 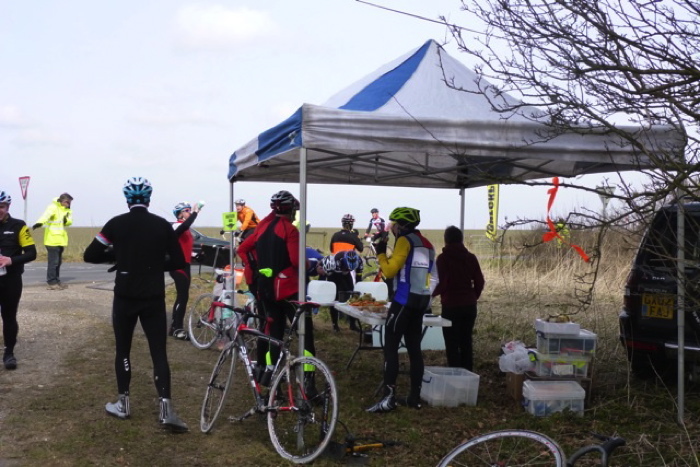 After the food stop, there were many many miles, including a long tedious mainish road section, heading straight into that wind and even with three of us taking turns, it was pretty sapping. It might have been better if the Jokers were spaced out a little more, as it sort of felt like all the "fun" was pretty much done with, and these miles were just to get you back home. I also knew there were a couple more hills ahead which I wasn't looking forward to as it was all feeling a bit like hard work by now. The Last Laugh means going up a long hill, along a bit and then back again...ie, going up a hill just for the hell of it, at the very end of the ride. Hilarious. We could have missed it out, but we were in for the long haul, so we didn't. From there it was just a couple more miles back to the start, which still dragged a bit. What can I tell you about the rest of the ride? Well it was definitely lumpy. There was apparently around 6800ft of climbing, and it felt like it! 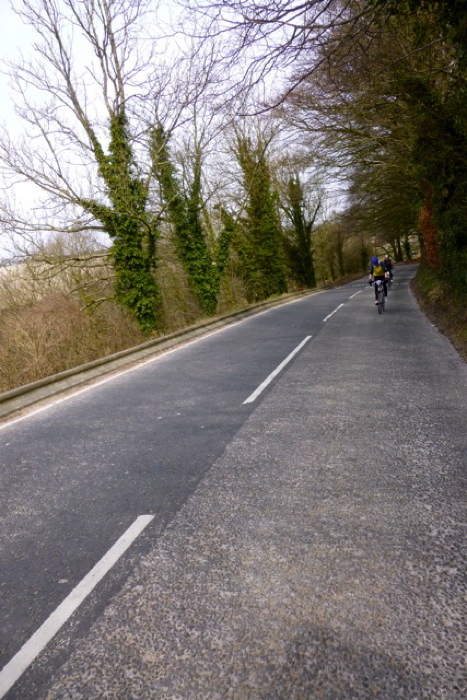 The worst hill, Fontmell I think, was not an optional extra and it went on and on and on with me doing speeds that would have meant walking was faster. The scenery was pretty enough, though by the end I had a slight case of "if I never see another thatched cottage it'll be too soon", and there were some gorgeous views from the escarpment that basically we went up and down all day. However a lot of the road surfaces were pretty atrocious, and ok, so unlike many we saw, I didn't get a puncture, but that's not the point. Gingerly picking your way along narrow barely surfaced roads, dodging potholes, avoiding gravel on bends, etc, does not make you pick up any of the time you've lost climbing. The signage was mostly pretty good apart from a couple of places where they weren't clear until you got right to where the decision was to be made, and there was also a lethal right turn at the bottom of a long descent somewhere which luckily Guy knew about. More warning would have been nice. It would also have helped it the Joker options were sign-posted in a different colour - red maybe - to distinguish them from the main route option. And finally, I'm a girl. Why is this important? Because there was one food stop, used twice, and with no toilet facilities. It was very cold, windy, and exposed, and I was wearing bib longs. Luckily the cafÃ© at the top of Gold Hill let me use their facilities. In conclusion, it was a hard day's work! And slow. The car park was 3/4 empty by the time we finally rocked up back at the start, and they'd run out of medium sized t-shirts. Just as well I'm a small then. 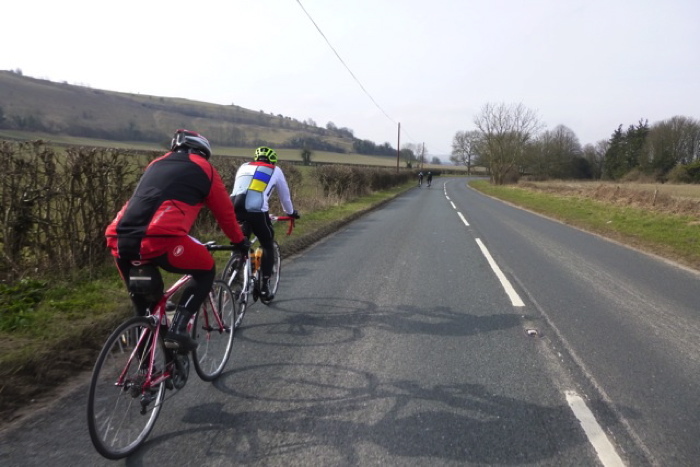 We stashed the bikes, grabbed our free cup of coffees and stretched out a bit before folding back into cars and heading off to wherever it was we were going. I'm not complaining about the time though, I'm happy to have gone out, to have ridden, and to have gotten round. My unfinished business is now well and truly finished!